Manufacturing Positions available in Geneva, IL. KishHealth System recently honored individuals, teams, and departments who have demonstrated significant achievements toward the health system’s organizational Pillar Goals in the areas of People, Quality, Finance, Service and Growth. The top Can-Do Attitude recipient and the recipient of the Karen Sepaniak KishHealth System Spirit Award also were named. The Valley West Obstetrics and Operating Room Cesarean Section Training Team received the Quality Pillar Award for establishing procedures for reducing the C-section “decision to incision time” normally only found in larger hospitals. This accomplishment set a new standard of maternity care for critical access hospitals. 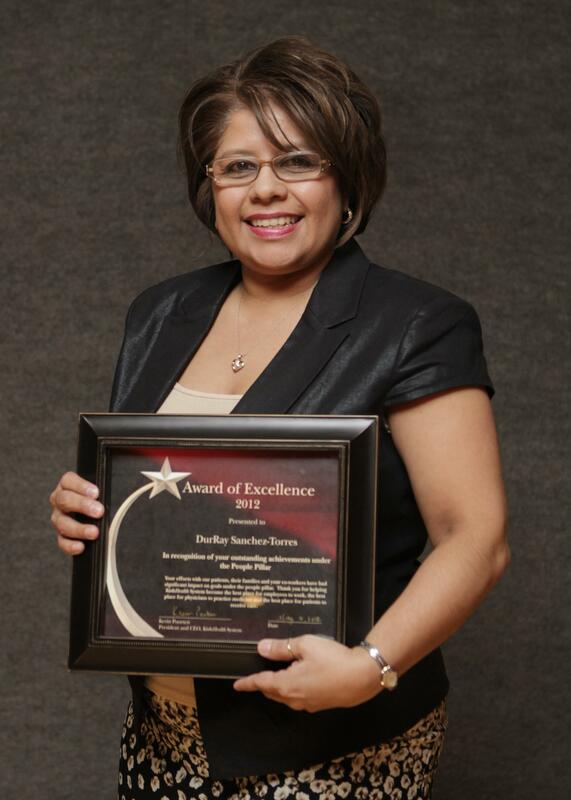 DurRay Sanchez-Torres, RN, interim manager of Med/Surg/ICU and Hospital Supervisors at Valley West Community Hospital, received the People Pillar Award recognizing her leadership skills in creating a positive and supportive work environment. The Finance Pillar Award was presented to the Kish and Valley West Medical Transcription and EScription Team for implementing Back End Speech Recognition at both hospitals. The new software reduced outsourcing costs by 95% and increased productivity 133% from 150 lines typed per hour to 400 lines produced per hour. 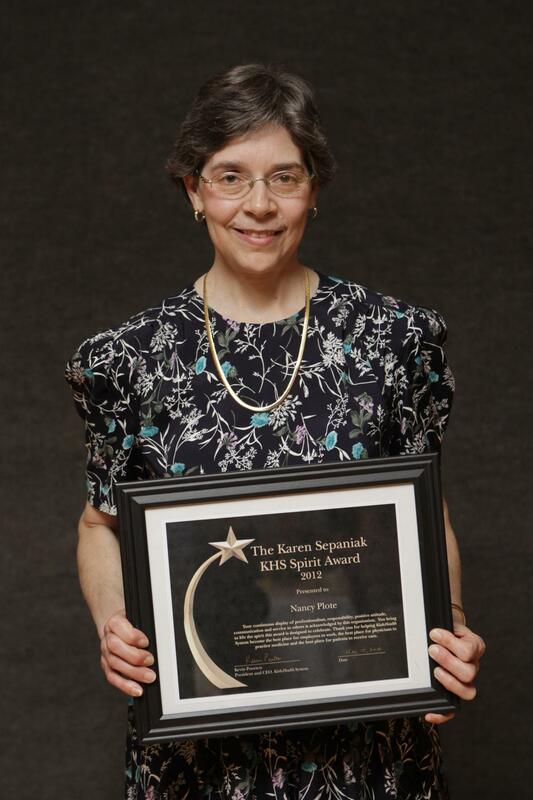 Nancy Plote, Kishwaukee Community Hospital coder and report writer, received the Sepaniak Spirit Award. 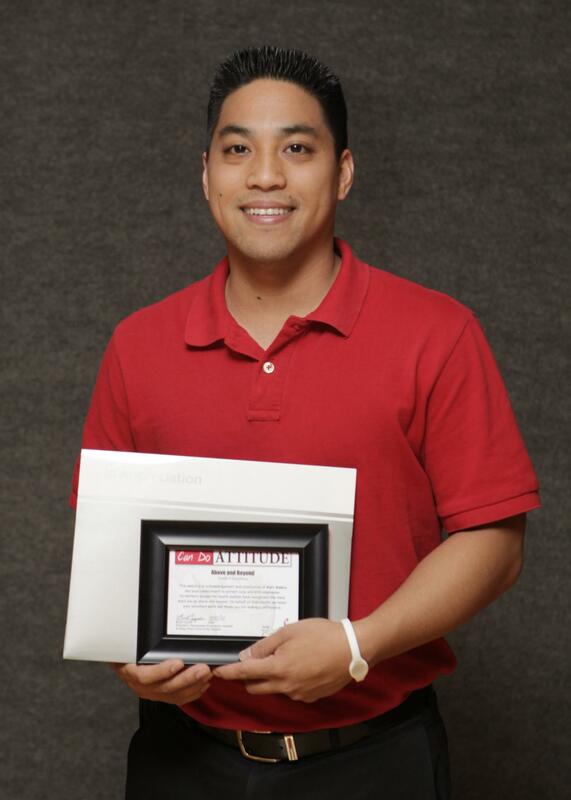 Kurt Galera, technical support analyst for Information Systems, was the Top Can-Do Attitude recipient. 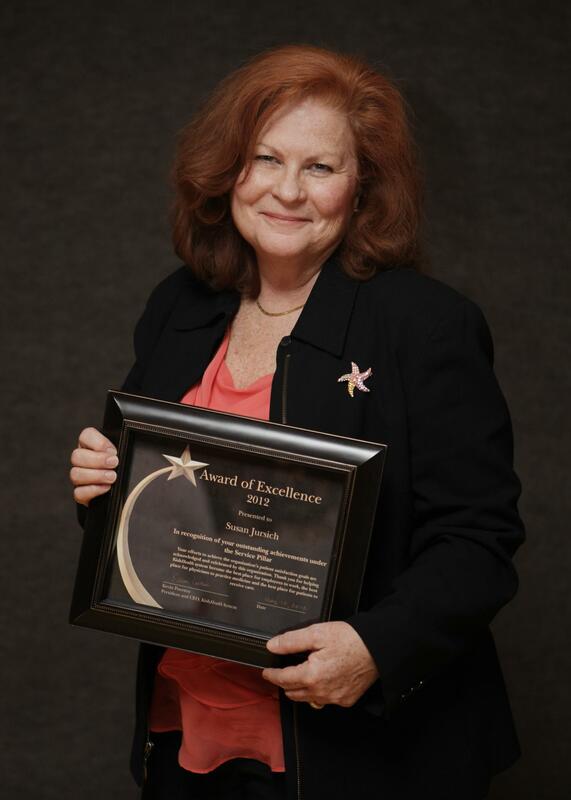 Susan Golden Jursich, Kish Hospital’s Food and Nutrition Services Department, received the Service Pillar Award for her exceptional customer service in the Kish Coffee House. Unlimited Performance Rehabilitation and Sports Medicine received the Growth Pillar Award for establishing niche services in the face of local competition that resulted in an 11% volume increase over the previous year and a 25% increase since 2006. The Sepaniak Award was named in memory of Karen Sepaniak who worked at Valley West Community Hospital for nearly 40 years. She died in 2007, The award was named after Sepaniak because she lived the health system’s values and brought a spirit of caring, compassion, passion and loyalty to work. Donnalee Klatt, left, Human Resources administrative assistant for KishHealth System, was recognized for 45 years of service and Jenelle Muzzillo, RN, Health Information Management, Valley West Community Hospital, was recognized for 40 years of service, at the recent annual KishHealth System Employee Recognition Banquet. Muzzillo, a registered nurse, also has many years of committed service to Valley West Community Hospital. Before her retirement earlier this month, Muzzillo held several clinical positions over the years, including Intensive Care Unit supervisor, clinical manager of Infection Control, Utilization Review/Quality Assurance, and director of Acute Care Services, and most recently, Emergency Department coder/auditor. She started her career at Valley West at age 16 as an aide on the nursing unit, then received her RN from Silver Cross in Joliet. Other employees were recognized for 35, 30, 25, 20, 15, 10 and 5 years of service. 35 years: Deanna Francis, Manager, Materials Management, Valley West; Cheryl French, Patient Access, Valley West; Linda S. Johnson, RN, ICU, Valley West; Jackie Mascenic, RN, Maternity Suites, Kish Hospital; and Nancy Plote, Coder/Report Writer, HIM, Kish Hospital. 30 years: Brenda Adkins, Environmental Services Supervisor, Kish Hospital; Linda Arnold, RN / Anesthesia Tech, Operating Room, Kish Hospital; Nancy Barnes, RN, Continuity of Care, Valley West; Wanda Leifheit, RN-Cardiology Lab, Kish Hospital; Barbara Roof, RN Pre-Op Nursing, Kish Hospital; Jane School, RN, Continuity of Care Supervisor, Kish Hospital; and Kristena Wyant, RN, ICU, Valley West. 25 years: Susan Aamodt, RN, Hospital Supervisor, Kish Hospital; Christine Cain, Manager, HIM, Valley West; Deb Ferguson, Administrative Assistant, Unlimited Performance; Vickie Guthrie, RN, Director, ICU, Telemetry and Pediatrics, Kish Hospital; Pete Keding, Engineer, Kish Hospital; Debra Lundgren, Clerk, HIM, Kish Hospital; Joni Schnabel, Systems Analyst, IS, KishHealth System; Debbie Sells, Executive Assistant, KishHealth System; Cheryl Torres, RN, Intensive Care Unit, Kish Hospital; and Jeri Wethington, Sterile Processing Supervisor, Kish Hospital. 20 years: Debra Angel, Sterile Processing, Kish Hospital; Penni Blue, Food & Nutrition Services, Valley West; Connie Briesacher, Ambulatory Services, Kish Hospital; Cynthia Byerhof, Emergency Department, Kish Hospital; Arvada Coleman, Maternity Suites, Kish Hospital; Barbara Dobson, Hospital Supervision, Valley West; Loren Foelske, Administration, KishHealth System; Cynthia Hooper, Cardiac Rehab, Kish Hospital; Christine Jackson, Cardiac Rehab, Kish Hospital; Diane Johnson, Patient Services, Hauser Ross; Kathleen Kuhmichel, Telemetry/Pediatrics, Kish Hospital; Joan Lee, Ambulatory Services, Kish Hospital; Julie Maertz, Patient Services, Hauser Ross; Kenneth Mason, Maintenance, Valley West; Deborah McCloud, Emergency Department, Valley West; Margaret Neisendorf, Emergency Department, Kish Hospital; Judy Parker, Housekeeping, Kish Hospital; Debra Rood, Unlimited Performance, Kish Hospital; Lisa Smits, Patient Services, Hauser Ross; Thomas Warzecha, Pharmacy, Kish Hospital; and Tricia Winters, Cardiac Rehab, Kish Hospital. 15 years: Jacqueline Beck, Intensive Care Unit, Kish Hospital; Lori Buchanan, Order Entry/Receptionist, Kish Hospital; Douglas Decker, Purchasing & Stores KishHealth System; Robert Divita, Maintenance, Kish Hospital; Billie Holstein, Food & Nutrition Services, Valley West; Christopher Laurent, Unlimited Performance, Kish Hospital; Regina Lawton, Housekeeping, Kish Hospital; David Linden, Endoscopy, Kish Hospital; Sharon Maas, Emergency Department, Kish Hospital; Doris Macdonald, Laboratory, Kish Hospital; Tamberly Matthews, Intensive Care Unit, Kish Hospital; Linda Myers, Child Development Clinic, Kish Hospital; and Cherlynn Norman, Community Education, Hauser Ross. Regina Parker, Social Services, Kish Hospital; Kenneth Parsons, Emergency Department; Kim Pierce, Patient Services, Hauser Ross, Kish Hospital; Kevin Powell, Emergency Department, Kish Hospital; Deborah Rachas, Emergency Department, Kish Hospital; Michael Reser, Unlimited Performance, Kish Hospital; Gail Sarver, KishHealth Foundation; Debra Schiller, Continuity of Care, Kish Hospital; Samantha Smith, Cardiac Rehab, Valley West; Judith Sulaver, Order Entry/Receptionist, Kish Hospital; Cynthia Trutt, Emergency Department, Kish Hospital; Shirley Unger, Health Information Management, Kish Hospital; Theresa Wagner, Administration, Valley West; and Judith White, Physical Therapy, Kish Hospital. 10 years: Rebecca Andrews, Diabetes Services, Kish Hospital; Lori Behrens, Operating Room, Kish Hospital; Lisa Buczkowski, Pain Clinic, Kish Hospital; Kimberly Butz, Intensive Care Unit, Kish Hospital; Cynthia Cave, EMS, Valley West; Carrie Collins, Ambulatory Services, Valley West; Traca Crowley, Medical Oncology, Kish Hospital; Gail Dobran, Health Information Management, Kish Hospital; Timothy Dolan, Intensive Care Unit, Kish Hospital; Renee Ellingson, Business Development, KishHealth System; Cassandra Ford, Pharmacy, Valley West; Julie Goad, Emergency Department, Kish Hospital; Sharonlynne Gruber, Patient Access, Valley West; and Diane Hance, DeKalb County Hospice. Valerie Hansen, Pre-Op Nursing, Kish Hospital; Christina Hardy, MRI Services, Kish Hospital; Misti Harloff, Cardiac Rehab, Valley West; Lisa Harris, Operating Room, Kish Hospital; Angela Hernandez, Telemetry/Pediatrics, Kish Hospital; Carolyn Herrmann, Diagnostic Imaging, Kish Hospital; Jenna Johnson, Maternity Suites, Valley West; Roberta Johnson, Housekeeping, Valley West; Sheree Komes, Waterman Medical Clinic, KishHealth System; Ramona Lopez, Housekeeping, Kish Hospital; Barbara Martinez, Medical/Surgical, Valley West; Lucinda Mock, Maternity Suites, Kish Hospital; Christine Morsch, Purchasing & Stores, Valley West; and Suzanne Mullis, Hospital Supervision, Kish Hospital. Debra Myers, Unlimited Performance, Kish Hospital; Kenneth O’Brien, Medical/Surgical, Kish Hospital; Jennifer Olsen, Operating Room, Kish Hospital; Deborah Paulin, Operating Room, Kish Hospital; Sheree Pinto, Unlimited Performance, Kish Hospital; Pamela Rogers, Patient Access, Kish Hospital; Susan Roland, Health Information Management, Kish Hospital; Paul Rothenbach, Cardiopulmonary, Kish Hospital; Kenneth Schwiesow, Cardiopulmonary, Kish Hospital; Paul Springer, Maintenance, Kish Hospital; Melissa Stevens, Unlimited Performance, Kish Hospital; Craig Villacorta, Information Systems, KishHealth System; Karen Wallin, Cardiac Rehab, Kish Hospital; Megan Welch, Clinical Education, Kish Hospital; Anthony Woodson, Emergency Department, Kish Hospital; and Michele Wylde, Unlimited Performance, Kish Hospital. 5 years: Hanna Anderson, Maternity Suites, Kish Hospital; Wendy Atkinson, Laboratory, Kish Hospital; Laura Barnes, Laboratory, Valley West; Renae Berggren, Maternity Suites, Valley West; Karen Black, Professional Practice, Kish Hospital; Stanley Bochenek, Transport Services, Kish Hospital; Sarah Braffett, Clinical Resources, Kish Hospital; Sally Brotcke, Volunteer Services, Kish Hospital; Donald Brown, Cath Lab, Kish Hospital; Allison Bryan, Marketing & Public Relations, KishHealth System Hospital; Alicia Burgos, Emergency Department, Kish Hospital; Anita Byrd, Laboratory, Kish Hospital; Roxann Camparone, Social Services, Valley West; Andrea Carter, Physical Therapy, Kish Hospital; Barbara Castritsis, Emergency Department, Kish Hospital; and Joseph Ciontea, Patient Access, Valley West. Geni Collins, Telemetry/Pediatrics, Kish Hospital; Lorena Corral, Human Resources, KishHealth System; Angela Constabile, Laboratory, Valley West; Christine Crisman, Medical/Surgical, Valley West; Kristie DeMayo, Maternity Suites, Kish Hospital; Sara Domroes, Hospital Supervision, Kish Hospital; Jennifer Fuchs, Emergency Department, Valley West; Donna Graham, Diagnostic Imaging, Kish Hospital; Christine Hacker, DeKalb County Hospice; Silvia Hanson, Information Systems, KishHealth System; Orfa Harkness, Interpreters, Kish Hospital; Emily Hummel, EAP, Kish Hospital; Kimberly Ikeler, Telemetry/Pediatrics, Kish Hospital; and Tiffany Johnson, Cardiopulmonary, Valley West Hospital. Cynthia Johnston, Community Wellness, Valley West Hospital; Debra Kading, Medical/Surgical, Valley West Hospital; Dolores Kasmar, Laboratory, Kish Hospital; Anthony Klingberg, Purchasing & Stores, Kish Hospital; Rachel Kranz, Continuity of Care, Kish Hospital; Stephanie Kyler, Human Resources, KishHealth System; Thomas Lind, Cath Lab, Kish Hospital; Jill Lovett, Maternity Suites, Kish Hospital; Shannon Maconaghy, Ambulatory Services, Kish Hospital; Leeann Martin, Diagnostic Imaging, Valley West Hospital; Dana Mascenic, Patient Access, Kish Hospital; John Mataitis, Housekeeping, Kish Hospital; Helen Maurer, DeKalb County Hospice; and Christine McCarthy, Medical/Surgical, Kish Hospital. Shari McIntyre, Medical/Surgical, Kish Hospital; Kari Mclean, Clinical Resources, Kish Hospital; Matthew McMillan, Purchasing & Stores, Kish Hospital; Jennifer McNutt, Medical/Surgical, Kish Hospital; Carol Miller, Emergency Department, Valley West Hospital; Laura Minich, Laboratory, Kish Hospital; Clare Minuiz, Order Entry/Receptionist, Kish Hospital; Samantha Morman, Patient Services, Hauser Ross Hospital; Stacie Nachman, Telemetry/Pediatrics, Kish Hospital; Christine Nelms, Patient Access, Kish Hospital; Victoria O’Hanlon, Emergency Department, Valley West Hospital; Julie Paku, Medical/Surgical, Kish Hospital; and Renee Peppers, Kish Corporate Health. Roy Peregrine, Purchasing & Stores, Kish Hospital; Melissa Perian, Emergency Department, Kish Hospital; Nicholas Prose, Maintenance, Kish Hospital; Michelle Quezada, Medical/Surgical, Valley West; Sheri Quillen, Accounting, KishHealth System Hospital; Mark Rafferty, Optical Shop, Hauser Ross; Hilary Raih, Patient Services, Hauser Ross; Gabriel Ramirez, Food & Nutrition Services, Kish Hospital; Carol Ray, Patient Access, Valley West Hospital; Elizabeth Reaves, Intensive Care Unit, Kish Hospital; Justin Rimstidt, Emergency Department, Kish Hospital; Melissa Romano, Diabetes Services, Kish Hospital; Carrie Rubo, Social Services; Valley West; and Rayann Sanchez, Patient Scheduling, Kish Hospital. Belinda Santos, KishHealth Family and Specialty Clinic-Genoa; Michele Schultz, Business Development, KishHealth System; Kristi Smiley, Recovery Room, Kish Hospital; Kristi Stice, Pharmacy, Kish Hospital; Pamela Taylor, Administration, KishHealth System; Stacie Taylor, Laboratory, Kish Hospital; Rex Timmerman, Maintenance, Kish Hospital; Thomas Vrana, Cardiopulmonary, Kish Hospital; Katherina Webb, Telemetry/Pediatrics, Kish Hospital; Sherena White, Maternity Suites, Kish Hospital; Christine Whitfield, Kish Corporate Health; Kelli Wilkening, Telemetry/Pediatrics, Kish Hospital; Jennie Wyatt, Laboratory, Kish Hospital; Joyce Wysznski, Patient Access, Valley West; and William Zieman, Diagnostic Imaging, Valley West. 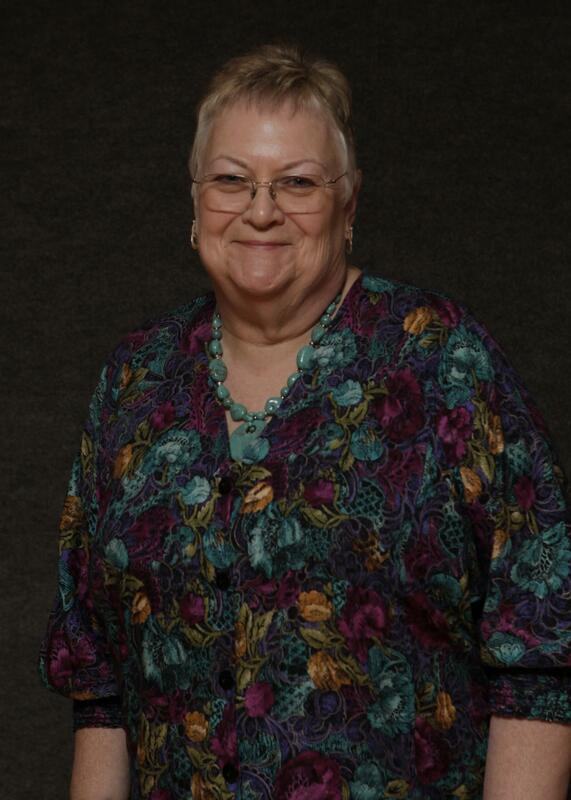 Congratulations to Eileen Dettman, volunteer in Kishwaukee Community Hospital’s Human Resources Department, who has won the first Connie Bressler Spirit Award. Dettman has volunteered at the hospital for 11 years, which translates to over 5,000 hours of dedicated service. Paula von Ende, director of Volunteer Services said, “Eileen’s determination sets a wonderful example for those around her.” Dettman was a dear friend of the award’s namesake. The award, named in honor of Connie Bressler, who passed away in 2010, is given to a Kish Hospital volunteer who best exemplifies the spirit of serving others. Connie Bressler volunteered at Kish Hospital in the Marketing Department and at the front desk assisting visitors and patients from 2003-2007. In these roles, she came to know many of the volunteers and staff. She lived with multiple sclerosis for all of her adult life, diagnosed when she was a teenager. Those who knew Connie realized that she had MS, but it did not define her; she was positive and upbeat in the face of serious illness. 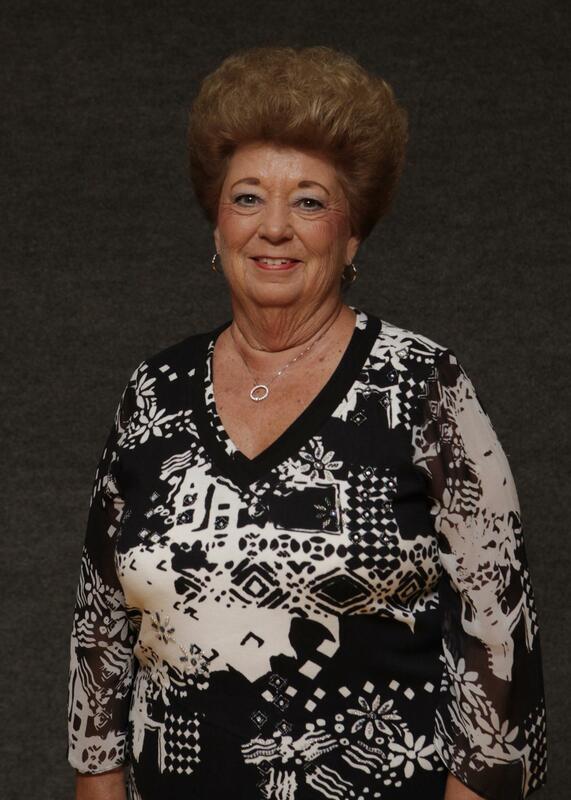 Connie always had a smile on her face and a cheerful greeting for everyone. With the presentation of this award each year, the Auxiliary would like to recognize volunteers who are carrying on her spirit at Kish Hospital. Kish Hospital volunteers were honored at the Auxiliary’s Volunteer Appreciation Dinner. 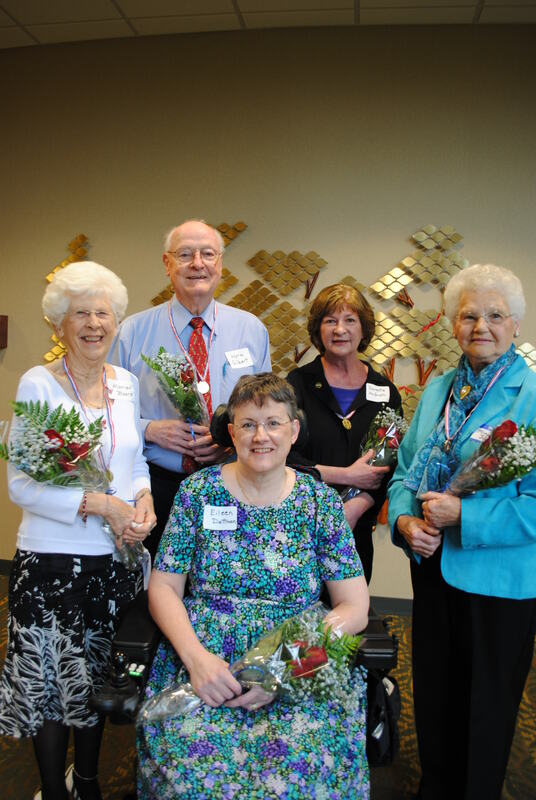 Nominees for the Connie Bressler Spirit Award included volunteers (from left to right) Marian Baars, Norm Gilbert, Daisette McGrath, Mina Johnson, and Eileen Dettman (front). Brad Copple (not pictured), president, Kish Hospital, told volunteers in attendance, “You make us a better place because of all you do.”submitted by other volunteers and a Kish staff members. The award winner is selected by a three-member committee and presented at the annual Volunteer Week Dinner. 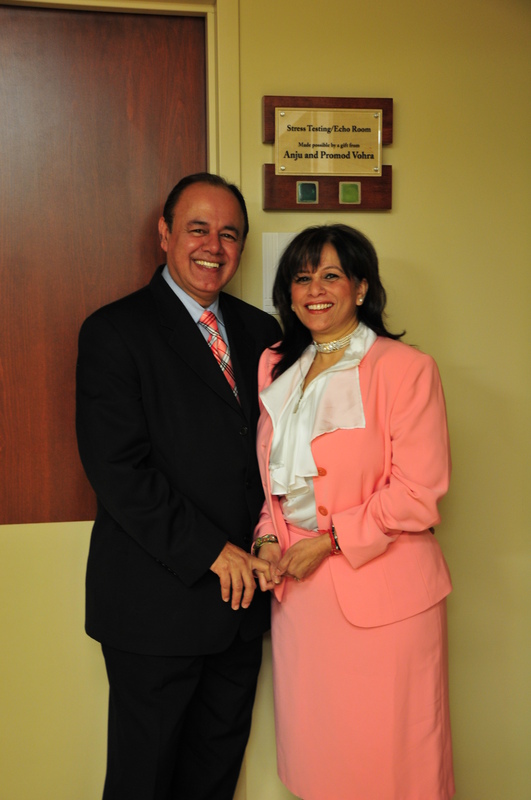 For more information about Kish Hospital’s Auxiliary, visit www.kishhospital.org.